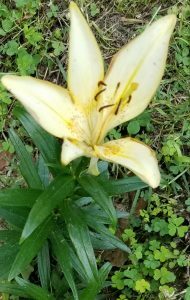 Blog – Hadiah's Holistic Haven, L.L.C. Everything is energy and all energy has its own vibration. 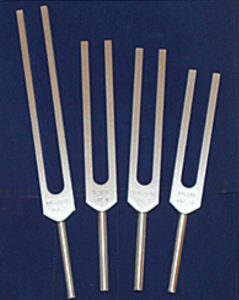 Just like a tuning fork, if we are not mindful, we could easily become tuned into something, or someone else’s vibration. This in itself is not a bad thing, if what we are tuning in to promotes love, joy, beauty, life and light to self, others, and to the planet. Sometimes energy connections can happen very quickly, and we are sucked in, or it can happen very subtle. This can occur with or without our awareness; however, once we become enlightened on the matter, we must decide if the present vibration is healthy or vexing to our spirit. If the energy is healthy, I say how divine, but if the energy is vexatious or toxic to our spirit I say respond to it like we are on fire. Instead of the “stop, drop and roll” concept, we must stop, breathe, and listen to the wisdom inside of us. It will tune up our vibration for the perfect response. We will know if we are being true or tune into our own high vibration. Are you aware of your true vibration? To learn and experience your own vibration visit www.hadiahsholistichaven.com. Until the next time, stay tune and true to your vibrations. Do you have the proper amount of water in your System? Last month on one of the coldest nights, our furnace wouldn’t produce any heat through our radiators. 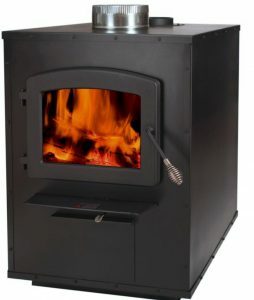 The furnace would cut on, but sometimes the fire wouldn’t come on, and if it did it would cut off before it gave off any heat. You see, the problem was the radiators didn’t have enough tap water in the system for the fire to stay on to bring forth the heat. The plumbing technician that serviced our furnace explained that from time to time we must check to see the level of tap water in our system. This experience reminds me of some of our prayer lives. In our darkest and coldest hours/nights we forget or don’t want to pray, or we pray and then not wait to listen and hear the word/fire, the guidance from the Holy Spirit. Do you have enough faith, living water, to heat your prayer life? When it feels cold and numb, and things seem to be falling apart what is the level of living water in your system? I believe it is essential for us to pause frequently to check the level of our hearts to ensure we are filled with the living water to keep our system operating with the flames of love that will support our healthy living systems. We need the water, and the fire wouldn’t you agree? Until the next time, let’s keep our systems full with the proper amount of water. On Wednesday, February 20, 2019, I will be a Featured Guest on IMPACT THE WORLD RADIO SHOW with host Cheryl Wood. Blessed New Year everyone it is now 2019! Well on some occasions, for me; I find myself in between the seeds that fell on the the gravel and the ones that landed in the weeds. However, I thank God for His gifts of faith and hope because they give me the energy to get planted back on the good earth. You see, with FHE*, God always elevates me (and you too if you ask Him) and my situations. I love how He administers to my spirit using the beautiful gifts of songs, prayers, body movements, stories, and other tools/tips to change/elevate the energies all around me. He is able! He Elevates my moods. He Elevates my thoughts. He Elevates my behavior. He Elevates my attitude. He Elevates my hearing. He Elevates my seeing. He Elevates my voice. He Elevates finances. He Elevates my understanding. He Elevates my intuition. He Elevates my everything because He is able. Do you need and want some elevation in your life this new year ? If so, I know for sure that from and with the gifts of faith, and hope God will show you the evidence that He is able to elevate all things in your life and set your feet on the soil of good earth where things will grow and be prosperous. Growing more in faith you will be elevated! 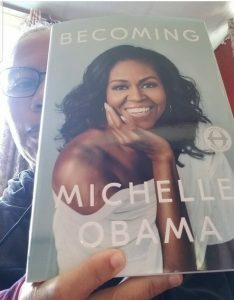 So, this month I have been reading Former, First Lady, Michelle Obama’s book, Becoming. Though I haven’t finished it yet there are so many parts or points in her book thus far that reference some of her childhood experiences that I too have very similar memories from my own childhood experiences. Like taking piano lessons from a very stern teacher and learning the importance of where the middle C key is, bringing classmates home for lunch while our loving mother’s whip up a yummy meal for us to eat. Now, how powerful is that statement…I would say very Powerful! I find very often not only with my clients but with other people also that many of them are in positions and fields of work that they are not passionate about. Jobs that don’t feed their spirits, therefore, they feel like they are not performing at their highest, truest capacity which includes their total beingness/selves, the mental, physical, emotional and spiritual selves. I understand that everyone may not be in a position to make career changes right now, but just for today or just for the remaining days of December practice focusing on ways you could change the way you look at your current situation because as the saying goes, if we change the way we look at things then the things we look at will change. Wouldn’t it be a great awakening to start the upcoming New Year with some tools that will assist you in “BECOMING” and working from a state of passion and purpose? Hadiah’s Holistic Haven, HHH, is a space where you can gather tools and gifts to become fully aware of your passions and purpose in your present line of work until you can create or make connections that will place you in the flow of your natural rhythm. Until the next time, explore the possibilities of working with HHH to become who you are meant to be while doing what you do passionately. So, this month allow me to pose some questions to you that may require you to dig a little deeper to find your true north. Read over all of the questions then take a few full inhalation and complete exhalation. Next go back and reread each question one at a time as you breath slowly and deeply into your answers. 1. When you feel lost/confuse, where do you go? 2. When you feel empty inside, where do you go? 3. When you feel incomplete, where do you go? 4. When you feel unsure, where do you go? 5. When you feel sad, where do you go? 6. When you feel like giving up, where do you go? 7. When you feel afraid, where do you go? 8. When you feel angry, where do you go? 9. When you feel guilty, where do you go? 10. When you feel happy, where do you go? 11. When you feel joyful, where do you go? Once you are finished answering the questions take a few more deep breaths…inhaling and exhaling. Now reflect upon your answers, and discover if where you are going is giving you the best outcome for your total well being. If not, perhaps there’s a wiser place for you to be going to. Until the next time, only go to places that takes you to your true north. 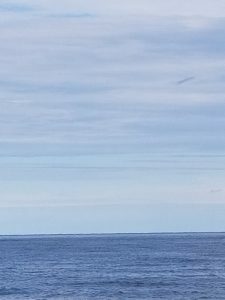 Author Hadiah SetepenRaPosted on November 5, 2018 Leave a comment on Where Do You Go? All You Need Is One YES. If you believe in something, no matter how trivial it may be to someone else, or how many no’s you may get, all you need to do is keep trusting and believing that you will hear your one yes, to make things possible. How may times will you continue pushing forward until you get your yes? Well my dear husband kept pushing forward after one no, then a yes that quickly turned into a no, and finally his third try he got his yes! You see, my dear husband is very determine to follow through on just about everything he feels strong and passionate about. He will not leave one stone unturned, big or small, if he believes there is a chance he will get his yes. So, a year ago,so he thought, my dear, dear husband bought a water hose that he never used. It was still in the original wrapping with the tags still attached. He kept it in a clean and safe place, but some how unbeknownst to him, the nozzle became corroded by turning green and brown not only on the outside but inside the nozzle as well. So, we take it back to the store where he thought he purchased it. He didn’t have the receipt, but by him having a membership with this particular store they were able to key in his membership number and pull up his purchase history which included the item and the exact location the transaction took place. That’s where it was discovered that not only did he not purchased the water hose from that location but he had bought it two years ago. Even after hearing the dreadful no, followed by the unacceptable words of explanation to him; from two employee’s as to why they could not accept the two year old water hose my dear, dear husband just stands there. He begins again to state his case as to why all the reasons and ways that they could say yes to him. Finally he smiles and picks up his defected water hose, and out the door we go. The next day my…you know…my dear, dear husband and I attends an event that just happens to have hundreds of vendors, and blessed be; one of the vendors is the store where he purchased the water hose in question. Again he explains his case to the merchant only this time I am not with him because I am browsing other vendor’s tables. When all of a sudden, I see him walking very fast towards me with this huge cresant smile on his face. He begins to express to me that he has to go back to the huge and distance parking lot where we had parked the car to get this water hose because a young lady told him that he could exchange the water hose for a new one. Though I was very happy for his excitement I had to asked him the question. Before we take that long walk back to the parked car did you explain to the young lady that you purchased the water hose two years ago? He quickly goes back to the young lady and explain that he purchased the water hose two years ago while I waited for him on another floor. Within minutes my dear heart was back at my side, and needless to say we didn’t have to go to the car to get that traveling water hose. Okay y’all about three weeks has past, and we are on our way to a third location of the same store to purchase some new items. After we finish our transactions and he renews his membership, my guy goes into his story line about that corroded water hose that he purchased two years. When the cashier told him he could bring it back the next time he comes, to my surprise my dear, dear guy says, “Oh I will be right back it’s in the trunk of my car”. Needless to say I did not go back into the store with him for obvious reasons. But I must say believing and trusting in something be it your passion, purpose, principles, or the like even when others say no, when you keep believing you will eventually get your yes, when Jesus says YES. And when Jesus says YES, you are likely to get more than you could imagine. You see, when my husband came out of that store, he didn’t just get a new water hose, but he got a longer and upgraded one! What are you believing in today? Because when Jesus say YES, who can say no. In my book, Yes Speak To Our Hearts, Holy Spirit – Through Our Daily Practice of Listening, Recognizing, and Using Your Unlimited Gifts and Power, I give a list of inspirational melodies that are gifts to our souls. Gifts that can keep us trusting and believing that we will get our YES if Jesus says so. I just love, love, love the gift that Michelle Williams ft. Beyonce’ and Kelly Rowland sings called “Say Yes” some of the words to the song are… “When Jesus say yes, nobody can say no” take a listen for yourself and allow my dear husband story and this song be a reminder to keep believing if you don’t get your yes the first time. Until the next time, your YES, is on the way if Jesus says Yes. Nine Months of Laboring…What Did You Give Birth To? Have you been carrying a passion, a dream, a gift inside of you since January and now that it is September…nine months later and you are still having labor pains or nothing new has developed, nor has anything manifested yet? Have you been ignoring what’s growing inside of you, or have you been pulling and pushing and moving in the wrong directions? Do you feel like you are standing on infertile grounds leaving you believing that good things will not grow from within you? Have you been feeding and nurturing your baby, project, vision, your passion, etc. with the love, consistency, and the motivation that you had when you first started your labor in January? If not, then that may well be the reason your baby, your project, your vision, your passion , your gift hasn’t birth yet. You may well be still feeling the labor pains because you haven’t given birth to the many different stages of carrying your passion inside of you. In order to reduce the pain, one must keep feeding it consistently with healthy, nurturing thoughts and actions in order for the beautiful gift to be born. Are you ready to give birth to your beautiful well needed gift? If so, Hadiah would love to be your birthing coach who will assist and support you doing your labor pains. Feel free to visit www.hadiahsholistichaven.com to get your baby moving again, so you may give birth to the beautiful, wonderful gift that is still inside of you. Until the next time be healthy, happy, and holy. So, I just finished watching season 13 episode 24 of the T.V. Show, Grey’s Anatomy. During this episode, Elizabeth, one of the doctor’s was expressing to Dr. Webber, that she had spent her whole life in hospitals, and she felt the need to see everything that’s not the inside of a hospital. She also realizes her need to travel, explore, hike, and breathe…really breathe away from monitors, blood, sterile gowns, and saving other people’s lives. Elizabeth became aware that she wanted her own life, and that now was the time for her to live. Which meant she had to quit saving others in order for her to save her own life, and ultimately save herself. Sometimes in life we all must know when it’s time to live a little for self, and sometimes that may mean we have to quit some things, or move away from what we may have been spending our whole life doing in order to explore other people, places and things, so we can really breathe, live, laugh, and love not only others but to love ourselves more deeply. Are you facing some things you must give up temporarily or permanently, in order to find your path, so you may live more freely and completely? Are you ready to breathe, live, laugh, and love yourself more? Hadiah’s Holistic Haven is a space where you can explore different tools to guide you in the practice of breathing more deeply in order to find your happy loving self. Feel free to explore www.hadiahsholistichaven.com today.